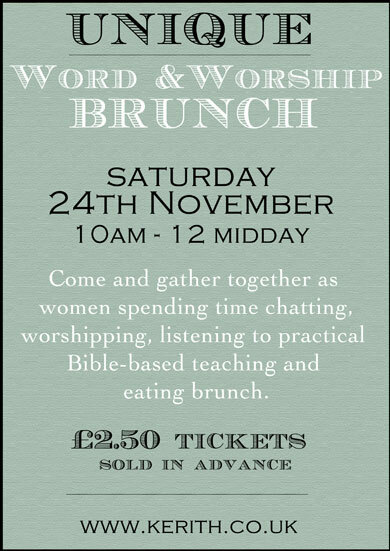 Word and Worship is back! 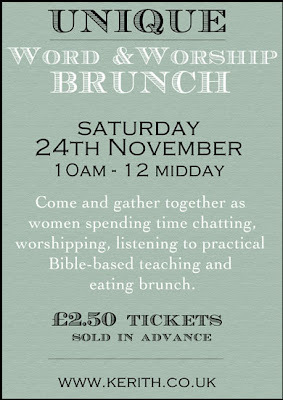 Girls, we're meeting from 10-12, Saturday morning 24th November, beginning with a light Brunch . I'd really love you all to be there too! Tickets are £2.50 , and we're selling them from this weekend at Kerith. Come and find us at our table at reception between each of the Sunday meetings.